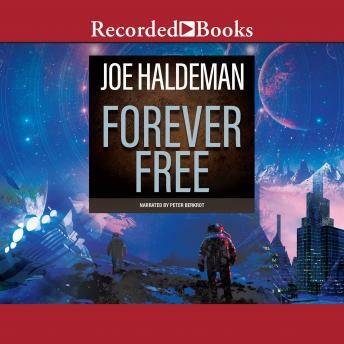 From Joe Haldeman, the all-time master of military science fiction, comes the new novel set in the universe of his Hugo and Nebula Award-winning classic The Forever War. An epic story about war, peace, and the price of freedom, Forever Free reintroduces readers to William Mandella--who has been living peacefully on the planet called Middle Finger, a refuge for humans who refuse to become part of the group mind known as Man. But after decades of this peace, Mandella and others are tired of living like zoo animals. So they steal a starship--and embark upon a voyage that will forever change their understanding of the universe...and themselves.